“Of his appearance I have said enough”: so Chaucer concludes one of his pictorial caricatures of the pilgrims on the road in the Prologue of Canterbury Tales. These are playful, quick, and satirical descriptions of the “faithful” on the way. Appearances are key in Chaucer. There is something in each of his little introductions that lets us know the soul of each character. The one I find fascinating is the trope of the hypocritical clergyman. I don’t find it fascinating because I enjoy such stereotypes. Talk about an overused character! As soon as it comes on screen, I’m bored. A scene shows someone with a collar or a pulpit, and I know what is about to happen. “Surprise Surprise! Rev. X is really a money-hungry, lecherous alcoholic. 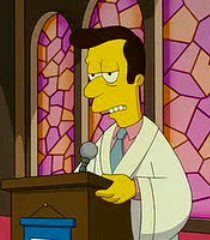 I didn’t see that coming.” The hypocritical Christian ranks up there in overused stereotypes with terrorist Muslim, angry feminist, ignorant hillbilly, lovelorn thirty-something, boring accountant, and corrupt politician. If you are writing something with one of these characters, you better be very, very good, or I will close the book or turn off the film. Seriously, I’ve had enough of these worn-out tropes. Yet I was delighted when I came to Chaucer’s hypocritical clergymen. Is this my own storytelling-reading hypocrisy? 170 Who rode the country; hunting was his sport. Was all his fun, he spared for no expense. Into a lover’s knot it seemed to pass. So did his face, as if it had been greased. And so it goes, lavishing in the riches, the good speech, and the womanizing of the monk. Yet the Parson is not given a negative picture. He is poor in worldly goods and rich in thought, working as a clerk to pay his own way as he gave the church offering away to the poor. 505 Upon his feet, and in his hand a stave. 510 That if gold rust, what then will iron do? A shitten shepherd and a snowy flock. Is one of cleanness, how the sheep should live. Or find some Brotherhood and get enrolled. So that no wolf should make the sheep miscarry. But was discreet in teaching and benign. “A shitten shepherd and a snowy flock” is a pretty startling use of Jesus’ “white-washed tombs” critique of the religious leaders of his day. That hook, though, tugs us back to those earlier use of tropes of the hypocritical leader. “Hypocrites” form a key component in Matthew and Mark especially, and they all hearken back to Isaiah chapter 1. In these opening chapters, the God of the cosmos sues the leaders of Israel for keeping proper form in worship while cheating their neighbours and oppressing widows and orphans. The universe is jury, the Lord both prosecutor and judge in the old style, and the religious experts stand on trial for the future of their nation. Chaucer is drawing from very deep wells. The wisdom of a heap of learned men? So, to critique myself, can the stereotypes above not serve the same purpose? Can tropes like the hypocritical Christian not help turn things upside down? First, you need the ring of authenticity. The self-critical spirit of Chaucer helps, but also the fact that he casts not all religious people as hypocritical, but only some. He has a larger category, and tackles that (in this case, power and humility). Hollywood, in particular, struggles to find its authentic voice—mostly because it doesn’t understand Christians. I think for popular media, Christians are either Jesus Camp cult leaders or Mel Gibson-esque extremists. Hollywood doesn’t always do its best in capturing a well-balanced moment. Do the priests in Dan Brown’s Angels & Demons ring true to you? You will rarely see me defending Dan Brown, but I think in the book they do. I like the flailing foibles of the forbidden love tale Keeping the Faith—starring Ben Stiller, Edward Norton, and Jenna Elfman. It is a good attempt to show that what looks like hypocrisy grows out of the personal struggles of a priest (Norton). 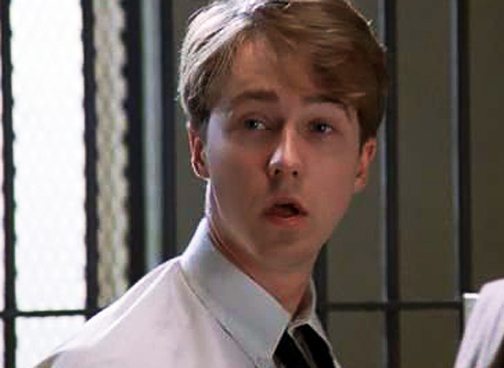 I just don’t think the characters knew that much about what it means to serve as a religious leader, and the brilliant Ed Norton film, Primal Fear, carries on the priest abuser stereotype with nothing new to add. I liked the Noah film, but struggled to understand Noah’s frustration. I don’t think the filmmaker’s ever tried to imagine what a message from God would be like. Hollywood is a mixed bag on authenticity. Second, you need the sublimity of good art—the clever wit or gentle hand or subtle subterfuge or gorgeous description. I think this is the difference between the film Saved and The Simpsons. The Simpsons consistently satirizes everything, but do it so very well. Saved is a blunt instrument in moralistic hands, whacking away at things the producers hate so that all art is lost. Voltaire lacks all subtlety, but the cleverness and hilarity allows us into the parody of Bunyan’s Pilgrim’s Progress. Sometimes it is hard to categorize. Primal Fear is good art despite the tired trope; Signs is bad art with a fresh new character (played by the fumbling Mel Gibson). And when a film is entirely satire, like Glory! Glory!, Dogma, or Saved, the categories can get muddled and the overweening satire can over take the elegance of storytelling and character development. It could be that the hypocritical clergyman trope has run its course. 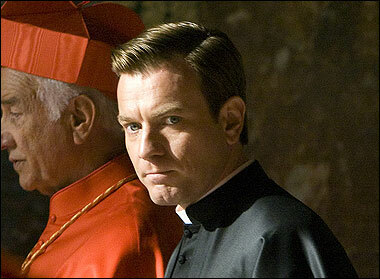 This blog shows some great religious characters on screen. 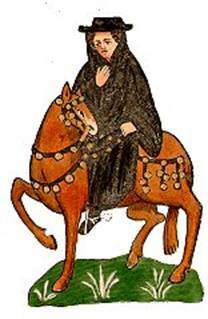 And there are other tropes in Chaucer too, like the Merchant with “forking beard,” or the Oxford student with a “hollow look, a sober stare, the thread upon his overcoat was bare.” Chaucer also turns some of those tropes around, moving from the stereotypical to the individual. For example, the Oxford cleric is not just hollow and able to misread any Scripture, but “gladly would he learn, and gladly teach.” So the whole discussion is probably more complex than I lay it out here. Still, I do think it is time to move on. The point of this generation of film-watchers and readers is this: we want authenticity. The problem with bad clergy in the world today is that so many of them struggle authentically with sin and mental illness and bad habits. So they cause their damage while their hearts break. So many politicians who are lost in the lie are people who began well but are caught in a failed system. Tell me the story of the angry feminist or the Islamist terrorist, fine. But tell me a story. Don’t give me a verbal cartoon. Show me the universal human need to “be” in the world, to reconcile tensions, to fight with and against failures, and to strike at a target that is just out of reach. Those are fresh stories to me. And I think that’s what Chaucer was doing. He satirized, but he also moved past the trope into characters—perhaps becoming a genius of history in doing so. We have a few psychologized characters in the literature of the past—St. Peter when he betrays Christ, St. Augustine as he takes up the book, Launcelot as he falls to Arthur’s side. 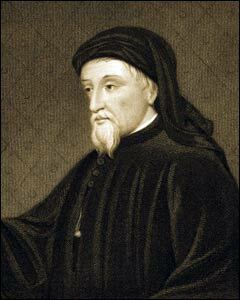 But Chaucer is notable because he saw the fresh story and he told it. 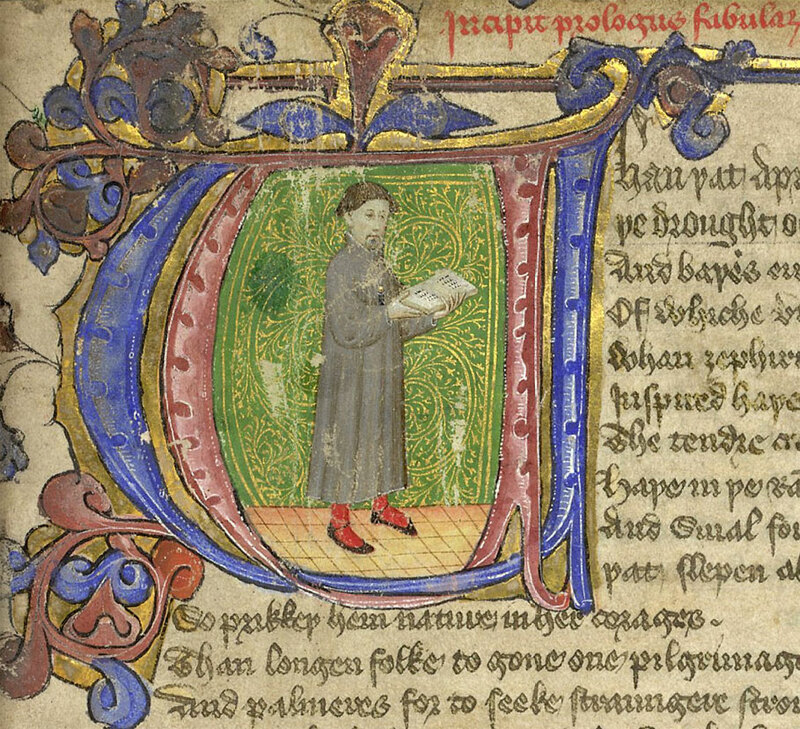 I would encourage anyone who is new to Chaucer to dive into the General Prologue. I am using the translation of Nevill Coghill–one of the Inklings, and a friend of C.S. Lewis and J.R.R. Tolkien. There are other good modern translations. Find one that works, and you’d be surprised how accessible it really is! This entry was posted in Reflections and tagged Angel & Demons, Ben Stiller, Canterbury Tales, Chaucer, Dan Brown, Edward Norton, Ewan McGregor, film criticism, hypocrisy, literary criticism, Nevill Coghill, On Writing, St. Francis, stereotypes, tropes. Bookmark the permalink. Fortunately these imposters are vastly outnumbered by the sincere majority of ministers. 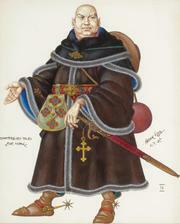 Those who more closely resemble Chaucer’s Parson. We (I humbly count myself among them) are extremely conscious of our own shortcomings. However, we possess a genuine and abiding love for those entrusted to our care. Something that a so-called “shepherd” in the mold of Chaucer’s Monk would find utterly alien to his nature. I am one of the struggling ones, so perhaps that’s why I get tired of the trope. I was ordained with my wife in 1997 and have endeavoured since 2001 to try to do it without pay. In my experience, the vast majority are honest. Sometimes incompetent, but rarely corrupt. And the line about the “shitten shepherd” really must be used in all the education of the clergy. Tyndale would have liked it, I think, and he probably knew it. It rings true to the English of his own translation of the New Testament. As you say it Stephen, I realize that you are right: there are both clergy characters in the English story. It is the new world that tilts these scales. That’s why, despite your post-church world, you have these great English comedies about clergy. However, beside those shows, do you have an honest, limited, authentic Christian character? At least we have Marge Simpson! “The Worcester Plot.” What a fun book/plot that would be, provided the murder failed in a hilarious way, or the film begins with the murder and it all falls apart. Have you seen the indie movie “Lars and the Real Girl”? One of the sweetest depictions of Christians I have seen to date in an otherwise secular movie. You are so right. I love that movie and have used it in teaching settings before. Brilliant tag. I’ve never seen (or even heard of) this, but it somehow made me think of a film I love, Paul Cox’s Molokai: The Story of Father Damien (1999). I don’t know it… the name “Damien” is evocative of something though. I would recommend that people at least try to read Chaucer’s own words. Most of the audience for this blog would have the language skills. Get a copy with a glossary for those words that haven’t survived to modern English, and thanne go on thyn owene pilgrimage, Chaucer’s faire tonge for to seke. I’m quite amateurish in middle English, but I find when I read it aloud, it am more successful. What about, as a bridging exercise, listening to the audio of Chaucer’s text while reading a paper/digital copy? An interesting work to compare with Chaucer in its mixture of various, and variously, admirable, sympathetic, and appalling clergy and laity is Anthony Trollope’s Barsetshire series of novels. I loved the 1982 BBC adaptation of The Warden and Barchester Towers together as The Barchester Chronicles before I ever read a word of Trollope and have enjoyed the LibriVox collaborative audio versions of various of them, which include some fine English and American readers. I also lately enjoyed the LibriVox reading of Sabine Baring-Gould’s little satirical pseudepigraphal work, Only a Ghost! by Irenaeus the Deacon (1870). Fascinating is R.H. Benson’s mediaeval historical novel, The History of Richard Raynal, Solitary (1912), scanned at Internet Archive. Among later Twentieth-century authors, I do like (though I do not always admire) Barbara Pym’s various wryly-observed flawed but sympathetic clergy, while Elizabeth Goudge often seems to specialize in admirable flawed clergy (A Scent of Water springs to mind). I just posted on Friday my reading of Marilynne Robinson’s “Gilead”–a brilliant and compassionate image of a pastor. That Hitchcock film of the Priest was pretty awesome too. I have not yet read Trollope! I intend to, but there is so much ahead in line! And I don’t know a Chaucer audio. I was hoping this little question would draw suggestions (as you have done!). Do consider trying the LibriVox Barset versions to nibble away at while doing the washing up, or waiting in traffic or whatever – I’ve gotten a reasonable sense of the whole series that way much sooner than I would have, had I tried simply to fit in reading them all. And librivox is a friend of mine! I usually get about 40 hours of books read in a month-4 to 5 book, including some lectures. I don’t have any audios to recommend, but you’re right about reading aloud being an aid to comprehension. Middle English is more regular than modern, so once one knows the rules, one can become quite fluent. I have trouble reverse manufacturing the vowel shift going back. Were you also thinking of Chaucer in the context of Who Goes Home? I suddenly did – the variety of pilgrims with distinct histories, and the variety of non-pilgrims (not consciously, deliberately, pilgrims, anyway), some of whom benefit radically from their encounters with saints. I wasn’t sure there was any connection, David. It was an accident that I read Chaucer’s preface as I was reading GD. We even have the Narrator as both pilgrim and narrator in Chaucer–as we do in Great Divorce. Perhaps those who know more could school me? So, that’s how I feel about the Sarah Smith Anthem! A good comparison (and from the same period)! Two things reprinted in Image and Imagination, both a lot later, have struck me as possibly interesting to compare in thinking about the style and diction of both hymn and work as a whole: on styles and problems of translation in his review of Fitgerald’s Odyssey (1962), and on those matters in the context of (possible) “high comedy” and “low farce” in Dante’s Divine Comedy and Sayers’ translation in his review of her (posthumous) collection, The Poetry of Search and the Poetry of Statement (1963). As to “the Narrator as both pilgrim and narrator” in Chaucer’s Canterbury Tales (and compare his House of Fame, too) and The Great Divorce, and Dante’s Divine Comedy, I was struck on lately rereading Lewis’s account of Boethius and his Consolation of Philosophy in The Discarded Image by his reference to “Boethius the author here ruthlessly exposing Boethius the natural man” (p. 80). “Seriously, I’ve had enough of these worn-out tropes.” You and me both, brother! Well-said throughout. This: “he casts not all religious people as hypocritical, but only some,” is one of the first things that came to my mind when first you began exploring why Chaucer’s characters don’t strike you as negatively as thoughtlessly-used tropes. And they you said it! 🙂 I find that when I see a character conforming to a stereotype, and I see at least one other character in the same work that defies the trope, I am more sympathetic. It seems to indicate some thought, some recognition of the complexity of humanity, was put into the work. Though, unless one is writing something that requires flat characters as an artistic motif, it is better to avoid stereotypes completely in favor of real characters. Jubilare, do you think we both have this increased sympathy to the use of tropes–and I share yours precisely–because we suspect the author of a lack of self-awareness? I think that’s it for me. If all the lesbians are fat or all the poor people are crude or all the frat boys are bohunks, I assume the author cannot see the world beyond these channels, these stereotypes. Do you ever feel like that? In think that is definitely part of it, if not most of it. That, and the fact that the use of stereotypes spreads the ignorance.